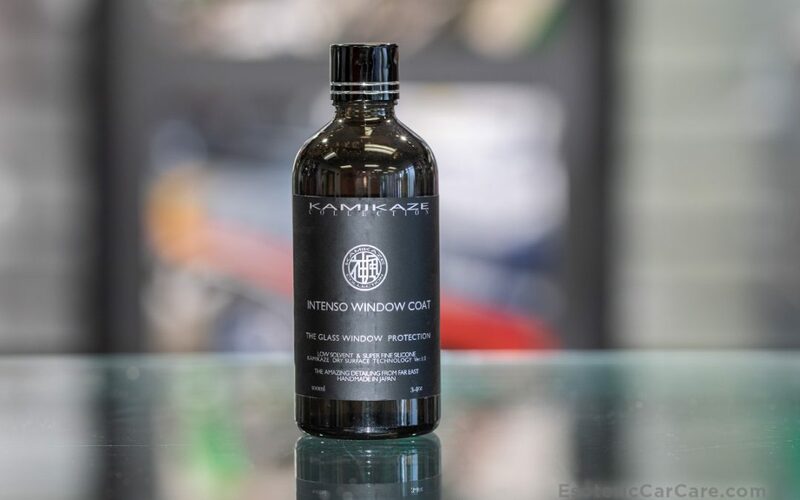 As with everything else in the KAMIKAZE coating line, Intenso Window Coat is incredibly easy to use and produces excellent, long-lasting water beading for your car’s exterior glass surfaces. KAMIKAZE Intenso Window Coat creates a super-smooth, slick finish that will last several months with each application. 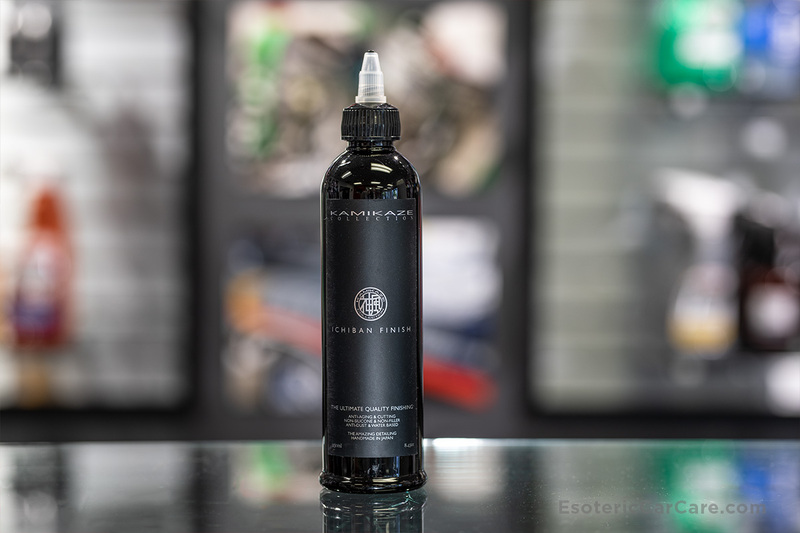 At Esoteric, we’ve found Intenso Window Coat to be the easiest way to treat the exterior glass with a water-repellent layer of protection. Once you’ve applied Intenso Window Coat, you’ll notice that not only does water bead incredibly well, but dirt, bugs, and grime won’t adhere to your glass as they would otherwise. 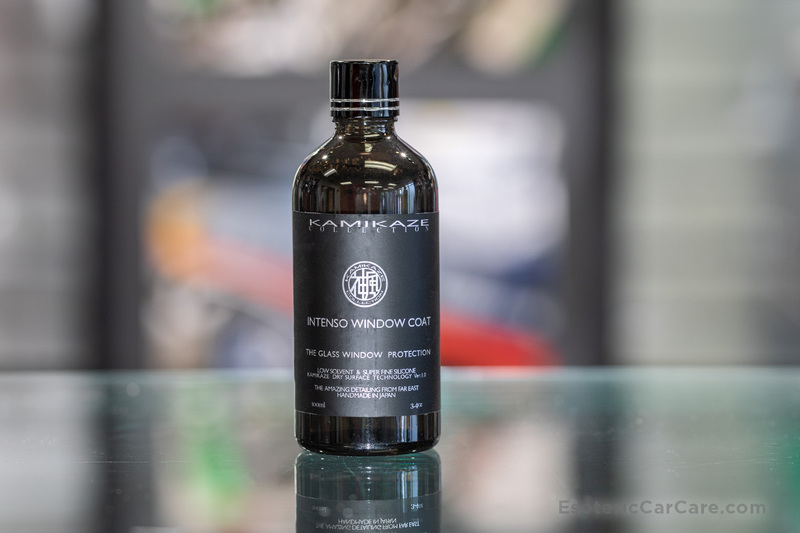 KAMIKAZE Intenso Window Coat comes in a 100ml bottle and is enough to coat around 25-30 front windshields. KAMIKAZE has developed their Banzai Cut Compound using the highest quality abrasives straight out of Japan. 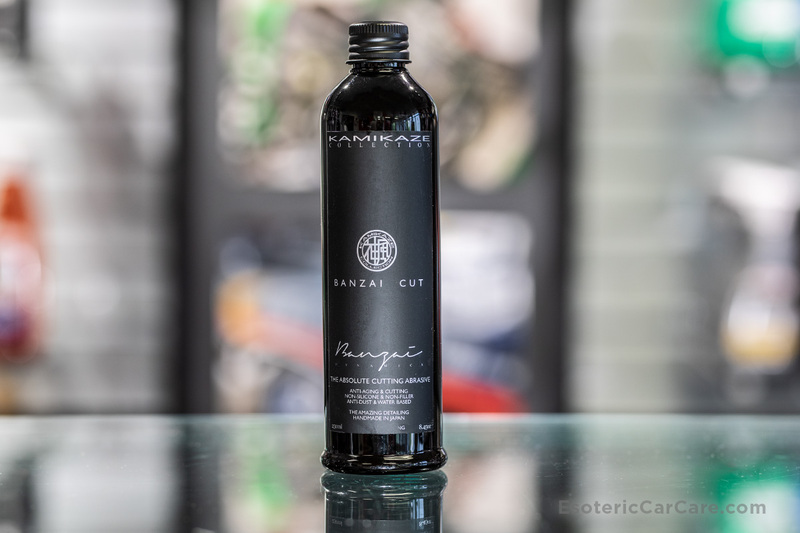 Banzai Cut Compound offers detailers a great mix of a cutting compound that still finishes incredibly well, limiting the amount of finish polishing that is needed, if any. This type of cutting and finishing is possible due to high functioning diminishing abrasives, with no fillers present. Banzai Cut Compound produces very little dust and is designed to offer long working time without drying out. KAMIKAZE Banzai Cut Compound is best used with the Kamikaze Banzai Wool Pad, Rupes Wool Cutting Pad, or Meguiar’s Microfiber Cutting Discs. Look to use only a few dime-sized drops of Banzai Cut Compound with each pass of compounding, changing out your pad with each 1-2 panels. KAMIKAZE Ichiban Finish Polish was designed to offer mild cutting ability while also having superior ability to finish down even the softest of paints. Ichiban Finish Polish aims to provide you with an excellent solution to working on medium to soft paints like those so often found on Japanese cars. 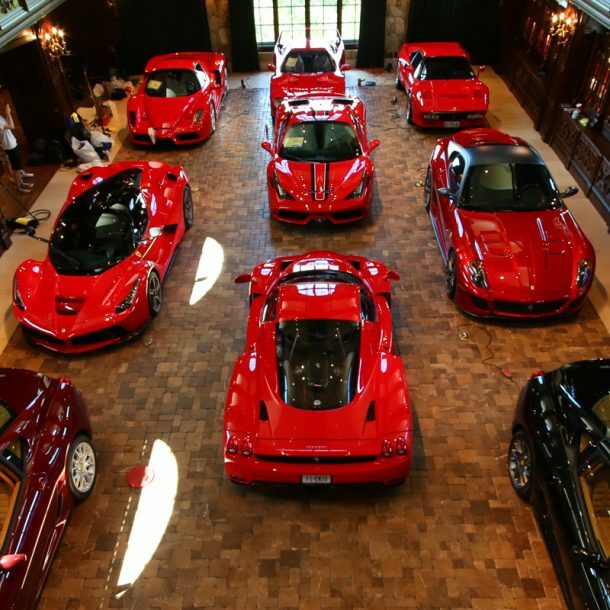 Kamikaze and Japanese companies worked to find a polish that would be superior to all others on the paint systems that they so often had problems polishing with other manufacturers’ polishes. Coupled with the Banzai Red Buff Pad or Banzai Black Buff Pad, Ichiban Finish Polish creates an excellent one-step polishing system to refine paint ahead of applying protection. For more cutting ability to remove deeper defects or scratches, look to use Banzai Cut Compound with the Banzai Wool Buff Pads, then finish with Ichiban Finish Polish and Banzai Buff Pads. Look to use only a few dime-sized drops of Ichiban Finish Polish with each pass of polishing, changing out your pad with each 1-2 panels. KAMIKAZE has developed its Banzai Dynamics Black Buff Pad to work in cooperation with the Ichiban Finishing Polish. The Banzai Black Buff Pad is incredibly soft, aimed at finishing down on even the softest paint systems without problems. The Banzai Black Buff Pad was designed to be used with a dual-action polisher like the Rupes LHR polishing machines. It delivers excellent results with high-quality polishes and was optimized to be used with KAMIKAZE Ichiban Finishing Polishing for one-step polishing on soft paints. 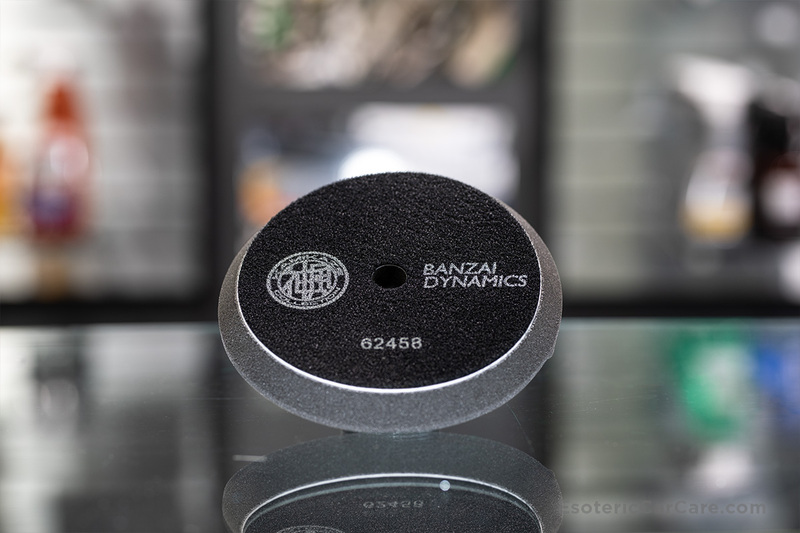 At ESOTERIC, we’ve seen excellent results and long working time with the Banzai Black Buff Pad, with excellent durability of the pad material over time. The Banzai Black Buff Pads are a perfect solution for detailers and enthusiasts who deal with difficult, soft paint systems like those found in most Japanese cars. Given that KAMIKAZE is Japanese, the Banzai Dynamics polishing system was specifically optimized with these paints in mind. The Banzai Black Buff Pads are capable of removing light scratching and swirling that are common on most cars. 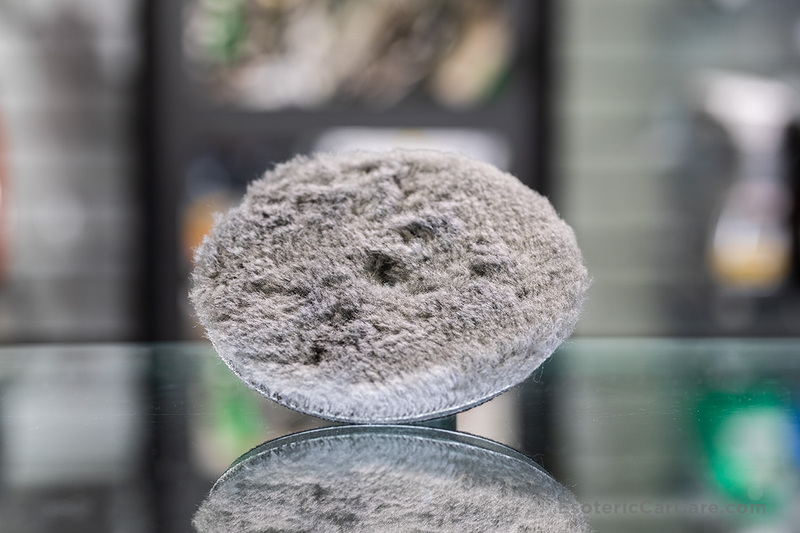 If you have deeper scratches present, you may want to consider compounding with the Kamikaze Wool Buff Pad and Banzai Cut Compound before finish polishing with the Black Foam Buff Pad and Ichiban Finishing Polish. For harder paints, look to use Ichiban Finishing Polish with the Banzai Red Buff Pad. KAMIKAZE has developed its Banzai Dynamics Buff Pad to work in cooperation with the Ichiban Finishing Polish. This system was developed as a full solution for users to produce great results with minimal steps. 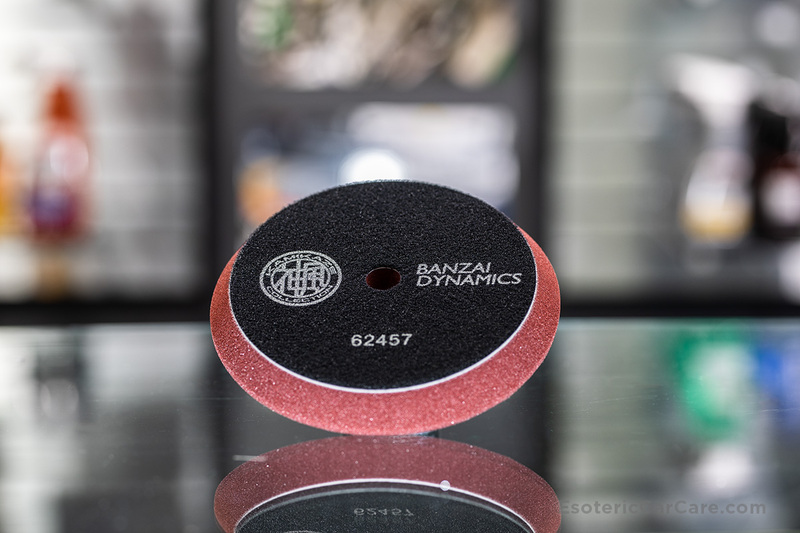 The Banzai Red Buff Pad was designed to be used with a dual-action polisher like the Rupes LHR polishing machines. It delivers excellent results with high-quality polishes and was optimized to be used with Kamikaze Ichiban Finishing Polishing for one-step polishing on medium to hard paints. At Esoteric, we’ve seen excellent results and long working time with the Banzai Red Buff Pad, with excellent durability of the pad material over time. The Banzai Red Buff Pads are a must-have for the high-level detailer or enthusiast who wants the absolute best results for their cars. The Banzai Red Buff Pads are capable of removing light scratching and swirling that are common on most cars. This pad does an excellent job of bridging the gap between a firm foam cutting pad and a soft finishing pad, allowing you to get results in one step rather than two or three steps. For softer paints, look to use Ichiban Finishing Polish with the Banzai Black Buff Pad. Kamikaze’s Banzai Dynamics Wool Buff Pad bridges the gap between a cutting pad that can remove deeper scratches and a lighter foam polishing pad. Designed specifically for dual-action polishers like the Rupes LHR machines, the Banzai Wool Buff Pad creates a great one-step polishing system for harder paints. For softer paints, use the Banzai Wool Buff Pad to remove heavy defects, then finish with the Banzai Polishing or Banzai Finishing Pads. For best results, use the Banzai Wool Buff Pad with Banzai Cut Compound or Jescar Correcting Compound.